Now that summer is officially here (finally! ), it’s time to plan all the fun things you’ll be doing in between lazy beach days and family barbecues. Let’s just say, it’s a good thing the days are longer, because you’re going to be busy. And we at Visit Rhode Island are here to make your scheduling easy, with a list of some of the biggest events happening in the littlest state this June. SPOILER ALERT: This summer is going to be epic! The legendary Great Chowder Cook-Off is the original and longest running event of its kind in the nation (37 years to be exact) and officially kicks off Rhode Island’s summer festivities. Enjoy endless samples of traditional and exotic creations from our local, national and international competitors. You vote for your favorites and the winners walk away with overflowing prize pots and bragging rights for the year! Need your Brit fix now that the royal wedding is over? Grab your fancy hat (or Union Jack) and head to Bristol to indulge in the beauty of classic British motorcars from across New England. Festival events include a Scenic Back Roads Rally, Friday Night Street Party, British Attire Competition, Tailgate Competition, and more. We like to think Meghan and Harry would approve! Come celebrate America’s first blow for independence from Britain! More than a year before our neighbors in Massachusetts had their tea party, revolutionary Rhode Islanders burned the HMS Gaspee in protest of British rule. 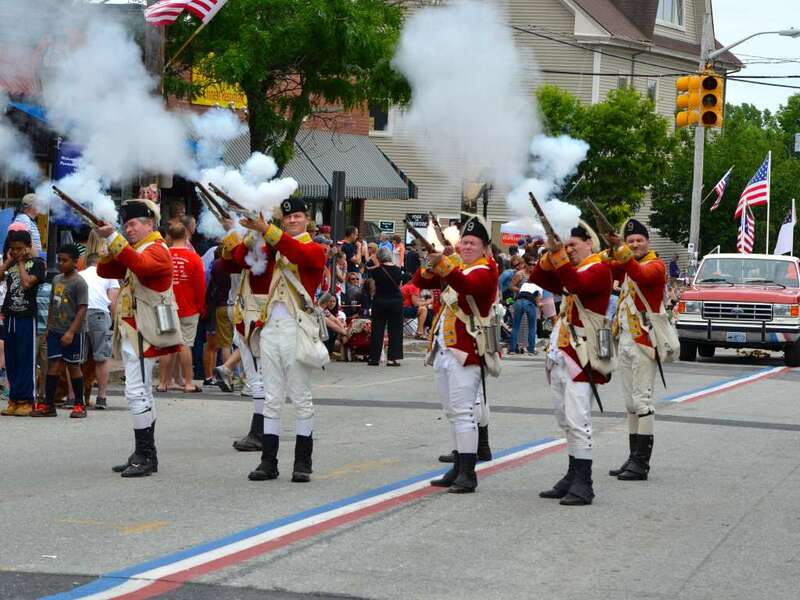 View the parade along a two-mile stretch of Narragansett Parkway as it commemorates Rhode Island’s patriotic heritage and after, head to Pawtuxet Park to the Gaspee Days Colonial Encampment to experience colonial life in the 1700’s. Head to the Rhode Island National Guard Open House and Airshow to witness amazing aerial performances by the US Navy Blue Angels, US Air Force F-35 Heritage Flight Team and more. Explore a wide variety of authentic military vehicles, planes and helicopters. This all-ages, family-friendly event features fun activities, as well as food and drink vendors, and best of all, admission to the show is FREE! Take me out to the ball game… is what your furry friend is trying to tell you! McCoy Stadium is inviting you to bring your dog along to enjoy the game on Sunday, June 10th as the PawSox take on the Indianapolis Indians. Pups and their plus-ones (owners) even get to head out on the field and parade around in front of all the fans before the game. Sounds like a home run for you and your pooch! 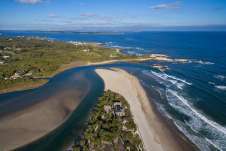 As if there already aren’t enough reasons to head to Block Island, June 10-16 is Restaurant Week – which means you can enjoy wonderful, creative menus and fresh seafood – in addition to the beautiful views. 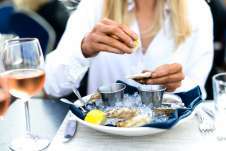 Hop on the ferry, work up an appetite hiking, biking, fishing, kayaking or reading a book on the beach and then enjoy a delicious dinner out. Over the week there will be lots of fun food events: a vodka tasting, wine tasting, tacos & tequila, dollar oysters, etc. Two course lunches are $14.00 and three course dinners are $29.00. Spend a fantastic night in Providence and celebrate Pride - this year Louder & Prouder, which is the theme for 2018! Now in its fourth decade, PrideFest attracts over 60,000 participants and features more than 150 vendors, live entertainment plus the amazing 43rd Annual Illuminated Night Parade. You can enjoy the festival from noon to 7:00pm on South Water Street and then head downtown for the Illuminated Night parade at 8:15pm.